A Boeing 737 jet of the Tatarstan airline has crashed in the airport of Kazan, the capital of Russia’s constituent region of Tatarstan, while completing a flight from Moscow. A Boeing 737 jet of the Tatarstan airline has crashed in the airport of Kazan, the capital of Russia’s constituent region of Tatarstan in the middle reach of the Volga River, while completing a flight from Moscow. The crash was reported at 7:20 p.m., Moscow time. 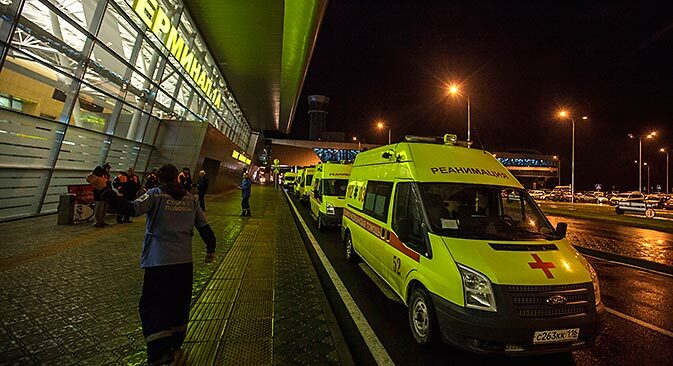 Fifty people were killed in Sunday's Boeing disaster at the Kazan airport, the Tatarstan Emergency Situations Ministry's press service has reported. There were 44 passengers and six crewmembers aboard the plane, it said. Deputy Prime Minister Yury Kamaltynov told reporters at the Kazan airport that Tatarstan President Rustam Minnikhanov's son Irek and Tatarstan's security serviced chief, Alexander Antonov, were killed in Sunday's air crash in Kazan. The fire has been put out. The victims' relatives are being aided by psychologists, he said. The Kazan airport will remain closed until noon on Monday, Kamaltynov said. He said that identification procedures will be conducted and that information about where they will take place will be available after noon on November 18 at 8(843) 272-05-64. The airport has been cordoned off. Several ambulances have been deployed. The relatives are being accompanied to Terminal No.2 where psychologists have arrived. Passengers flying by airliners, owned by the air company Tatarstan, are normally insured by the Bars Strakhovanie insurance company, a source on the air risk insurance market said. But he noted that experts are not informed, whether this particular flight had been insured by Bars Strakhovanie. The Interstate Aviation Committee is setting up a commission to probe air crash in Kazan, the Committee's spokesman told Interfax. The Boeing airliner was 23 years old, the air company Tatarstan told Interfax. The airliner has been in operation since 1990 under leasing arrangements, a company spokesman said, but he declined to name the lessor. A source in the civil aviation sector said the air company Tatarstan acquired the plane form an Irish company in 2008. It was the seventh operator of the plane, he said. Based on materials from Interfax.